Sam is a 23-year-old orphan whose been given a grant to get a degree in journalism, as long as she writes frequent letters to her anonymous donor (who is not at all creepy for requesting this). 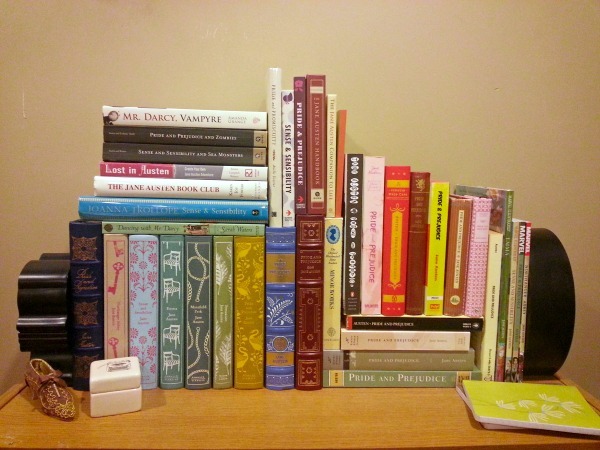 Being decidedly bookish – so bookish in fact, that she often (awkwardly and pretentiously) quotes her favorite classic novels and does her best to embody their heroes and heroines – she finds this letter writing an easy task. Then she happens to randomly meet a very famous author, Alex Somethingorother, and somehow he finds her alluring (and endearingly awkward) and wants to see more of her. As she struggles through her journalism program and begins to fall in love with Alex, her letters become more like journal entries and she casually reveals her horrible past. Thus, she goes through some sort of transformation and discovers who she really is, or whatever. If you’re too lazy to actually read my review (but, come on, just read it!) I think my blurb should give you a hint as to how I felt about this book. To round out my celebration of Jane Austen’s work, I watched a few movie adaptations she inspired. Naturally, I started with my favorite (hint: I rhymes with Bostonhand). 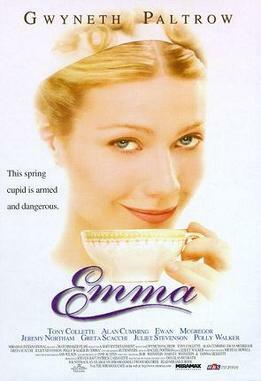 Emma Woodhouse has grown up on her father’s large estate, complete with a governess. She’s just finished school and decided to start her own interior design business, but finds herself more interested in the doings of her friends and neighbors. She starts with her governess, Ms. Taylor and after taking credit for successfully fixing her up with family-friend Mr. Weston, Emma decides matchmaking is her new business. She begins sticking her nose into everyone’s business and soon learns that they don’t view her as helpful, but rather meddling and snobby. I’m now all caught up on the books in this modern Austen project and I’m satisfied with how they’ve all turned out. Despite each novel having its own author and varied voices, I still think they have all captured the spirit of Jane Austen’s novels and feel like a series that belongs together. From Amazon: Beautiful, clever, rich – and single – Emma Woodhouse is perfectly content with her life and sees no need for either love or marriage. Nothing, however, delights her more than interfering in the romantic lives of others. But when she ignores the warnings of her good friend Mr Knightley and attempts to arrange a suitable match for her protégée Harriet Smith, her carefully laid plans soon unravel and have consequences that she never expected.